*Castle Difference® service is what you deserve! I was very impressed by the professionalism of the dealership and it’s staff! Everyone made me feel like I was a part of the family. Thank you Ricky for all your time and patience, I would definitely recommend you and Castle Subaru to anyone. You helped me get the car I wanted at a great price . Thanks again, You guys Rock!! We were greeted with in a few minutes on the lot. Mike came and greeted us and answered all our questions. Went for a test drive, we were sold on our Outlander GT. Mike worked diligently to get us a great price and a great rate on the loan. We will be back in a month or 2 for a Eclipse Cross. Great place everyone was helpful and friendly. We traded in an Equinox and got an extremely fair price ! Putting aside the dreaded, traditional visit to the business office in which we were pummeled with the need to purchase the extended warranty (a very distasteful experience). our journey to acquire a new 2019 Outback Ltd. was exceptional. Our salesperson, Jon Turpa, was the glue that held us at the Portage Subaru dealership. He took every extra step he had to take to make our experience pleasant. Not having the car we wanted in their inventory, he went hunting for what we wanted at other dealers and found one in the Chicago area. If it were not for the fact that we are in the "prime" of our lives, we would certainly return to the Portage, Indiana Subaru dealership to purchase once again. The Castle Subaru service center always does what they say they're going to do in a timely manner and at a competitive price. I've been bringing my Toyota to Castle for years after realizing the local Toyota dealership's service department, was a joke. Assistant Service Manager, Steve K, is efficient, honest and knowledgeable and one of the primary reasons I'll continue to bring my car back to Castle for servicing in the future. I'm very satisfied with the quality of work done to my vehicle. While they did a great job, they took far too long. An hour and fourth-five minutes for an oil change and tire rotation is insane. This location is one of the best around. I refuse to go anywhere else. Thanks for always taking care of my SUV. The staff at this location really knows how to make you feel welcomed. Quick reception, courteous staff. the waiting time was appropriate for the amount of work being performed. overall service was very good. An outside waiting area for when the weather is good would be a nice improvement. No complaints. Getting my car worked on i have 4 recalls. I love this place they are so great here. Ready to become a VIP? 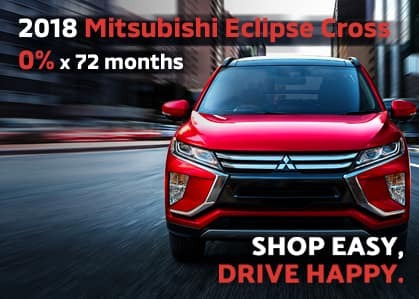 *You may be eligible for employee pricing under the Mitsubishi VIP Purchase Program. Be Bold, Shop Easy, Drive Happy. 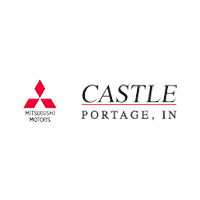 Castle Mitsubishi in Portage, IN treats the needs of each individual customer with paramount concern. We know that you have high expectations, and as a car dealer we enjoy the challenge of meeting and exceeding those standards each and every time. Allow us to demonstrate our commitment to excellence! Our experienced sales staff is eager to share its knowledge and enthusiasm with you. We encourage you to browse our online inventory, schedule a test drive and investigate financing options. You can also request more information about a vehicle using our online form or by calling 866-435-9154.